The director of the Institute for the Safe Use of Atomic Energy at the Russian Academy of Sciences, Leonid Bolshov, discussed the worldwide demand for Russian knowledge on the "peaceful atom". April 26, 2013, marked the 27th anniversary of the grievous accident at the Chernobyl nuclear power plant.In the years since the event, Russian scientists have gained unique insight into mitigating and forecasting severe incidents at nuclear power plants. This experience proved useful in assessing the impact of the accident at Japan's Fukushima-1 — the second worst nuclear accident in history. In conversation with RIA Novosti, the director of the Institute for the Safe Use of Atomic Energy (ISUAE) at the Russian Academy of Sciences (RAS), Leonid Bolshov, discussed the worldwide demand for Russian knowledge on the "peaceful atom." RIA Novosti: Leonid, during the ISUAE's existence, have foreign colleagues often turned to you for advice on what to do in a crisis situation and how to prepare for severe incidents at nuclear power plants? Leonid Bolshov: This year, the institute will mark its 25th anniversary; and, since its inception, we have shared our experience with various organizations worldwide. 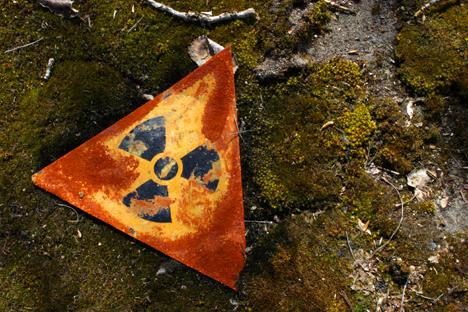 1989 saw the first substantive exchange of views on all aspects of the Chernobyl accident. For many years, we have cooperated with the French Institute for Radiological Protection and Nuclear Safety, the U.S. Nuclear Regulatory Commission and the German Society for Reactor Safety. For instance, one of France's so-called "Becquerel exercises" in the 1990s — which simulated an explosion at a research reactor at the Saclay facility near Paris — was based on a scenario that we designed with our French colleagues, in which we drew heavily upon the reality of Chernobyl. And it has to be said that the results revealed some serious weaknesses in the French response to radiation incidents. For the U.S., we improved a large number of special computer codes for severe incidents at nuclear power plants. One of the codes, MELCOR, was completely rewritten by the ISUAE, in collaboration with Sandia National Laboratories. In conjunction with the U.S. Department of Energy and the Office of International Cooperation, we are jointly developing a global emergency response system. I can report that our "Dictionary for Public and Press Relations during an Incident" was in great demand in the U.S.
RIA Novosti: Did the knowledge acquired at Chernobyl prove useful in handling Fukushima? Leonid Bolshov: That's a tough question and requires some background. The fact is that, for many decades, the focus in response operations has been on protecting plant workers and residents in the nearby area. But experience of past accidents — including Fukushima — shows that this approach needs to be revised. Throughout the entire lifespan of the nuclear power industry, based on research of all serious incidents known to us, the medical consequences are an order of magnitude less severe than in any other energy sector or industry. Nevertheless, anthropogenic accidents and natural disasters are forgotten very quickly, whereas radiation incidents leave a deep scar in the psyche and history of the country affected and all of mankind. The reason is not the medical consequences, but the colossal shock to the system suffered by all sections of society — social, economic, psychological, even political. Let's take a look at the situation in Japan. The population of the region around Fukushima-1 was in no way affected by the accident. The radiation doses in humans were zero, as confirmed by the most conservative international organizations and the U.S. Environmental Protection Agency — the "greenest" of all American government agencies. But there is a growing awareness that the worst aspect of any nuclear accident is not the radiological consequences, but the public's disproportionate panic and radiophobia.